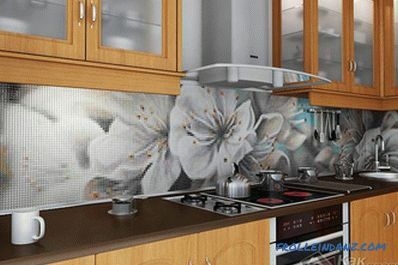 A mosaic made on a wall or floor becomes an ornament to any room. If you think that laying your own mosaic is unreal, you are greatly mistaken. Of course, many masters will say that doing such work is difficult. 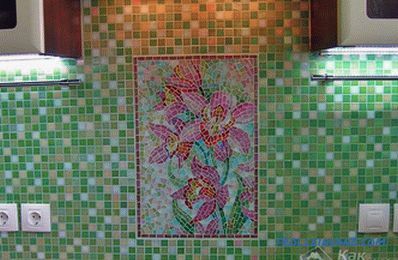 In some ways they are right, but if you have a little effort, patience and a sense of taste, then it’s quite possible to make a mosaic in your house. As an instruction, you can use the material of this article. Laying out a mosaic (made from special tiles or individual elements) is a creative and difficult task. 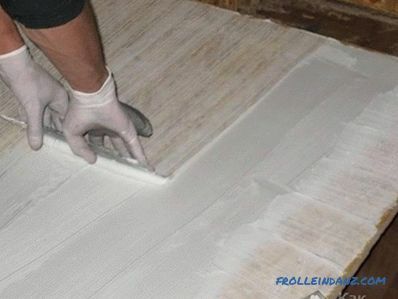 Here you need to show more diligence and accuracy than when laying conventional tiles. Increased requirements are imposed on almost everything. So, when laying a mosaic, you should be more responsible when preparing the foundation. 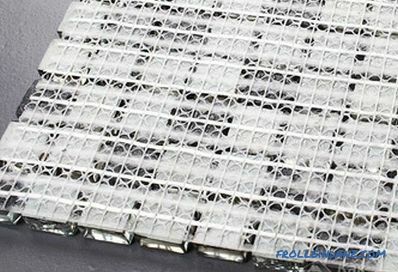 If during the installation of tiled coating it is possible to slightly correct the arrangement of the tile with the help of the thickness of the adhesive mass, then this will not work. Any bump or cavity will be immediately visible. Moreover, such a requirement applies to any plane. 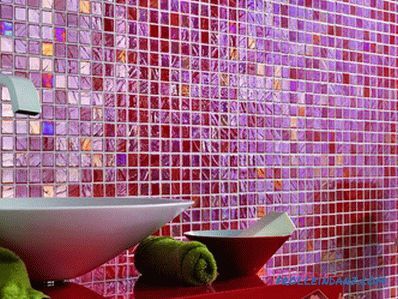 If you put mosaic on the ceiling, floor or wall, the surface quality should be perfect. If we speak in a folk way - as "under the wallpaper." 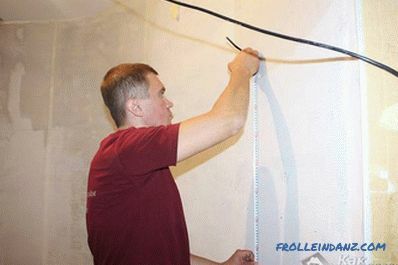 When preparing the surface, pay special attention to the plumb and horizontal position. If the error is greater than 1‒2 mm for every three meters, then ugly patches may form at the ends. 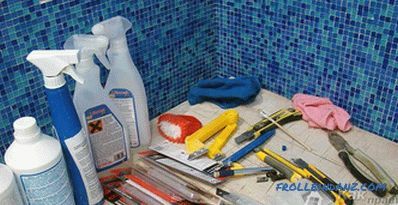 Especially this requirement applies to laying mosaic of small tiles, here all the irregularities will be especially noticeable. 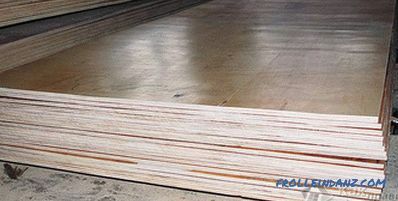 To improve adhesion and reduce the porosity of the substrate, the entire surface must be primed. 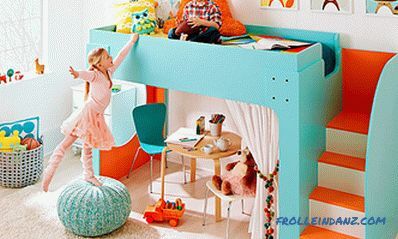 It is desirable to do this in several layers. 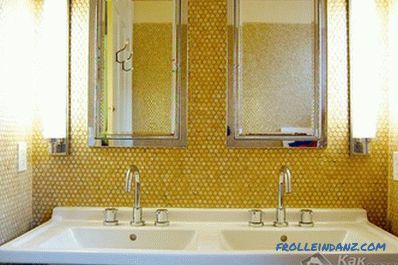 If you use transparent tile in your "picture", then it is worth covering the surface with tinted. Otherwise, the heterogeneity of the base will be visible through the transparent elements. When laying the mosaic in rooms with high humidity (bathrooms, saunas etc. 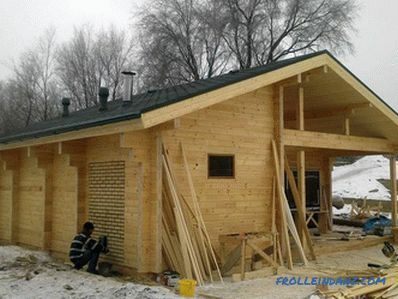 ), one more layer is required. 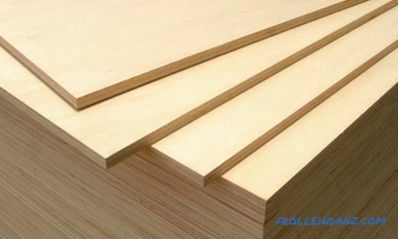 It will consist of waterproofing impregnation. try to remove all possible trimming at low observable angles (for example, the corner of the entrance door). After the paper sketch is ready, it is transferred to the wall. 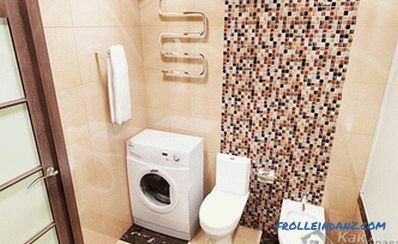 If the mosaic is laid on the floor, then it is advisable to make a “dry” layout. Now let's figure out how to glue. Glue mass must be selected carefully. 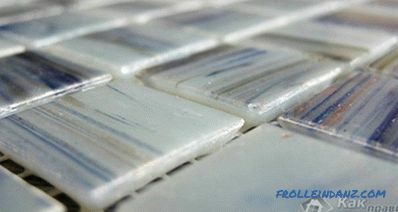 As a rule, special glue is produced for the mosaic. It can be both tinted and white. Here the choice will depend on the tile used (transparent or not). Also pay attention to the base material. When installing it is worth remembering that the glue hardens pretty quickly. Within twenty minutes, a film forms on its surface. Therefore, do not immediately apply a large amount. It is better to pass at most one square at a time. 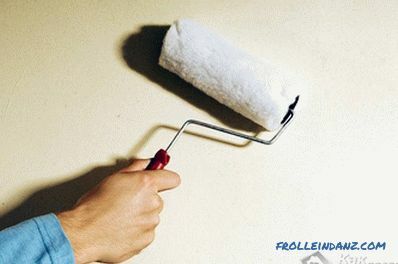 Glue is applied with an even trowel. The layer should not exceed four millimeters. Then on the surface of the glue mass pass with a notched trowel (tooth height not more than 3 mm). 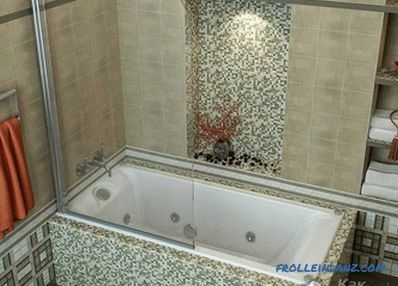 Some professionals put a thin layer on the tile itself. Thus, a more secure bond is achieved. 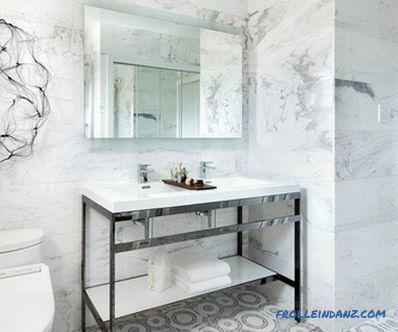 But such a layer should be minimal so that the mosaic looks even. 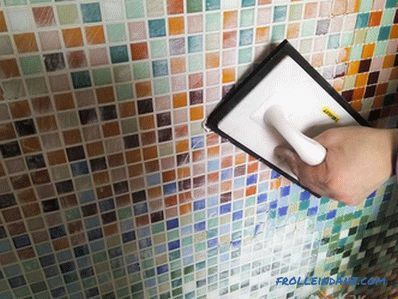 If you can install a regular tile, then you quickly figure out how to tile a mosaic. The principle is very similar, there are only some nuances. 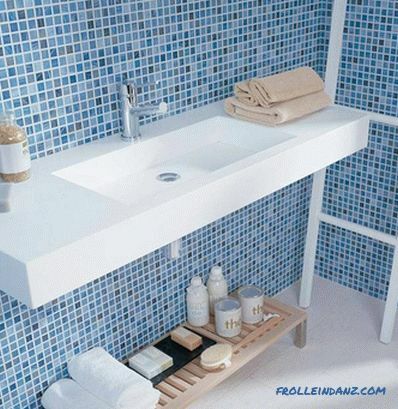 For example, ordinary tile (when laid on walls) is mounted from below. The bottom row will be the holding base for the top. 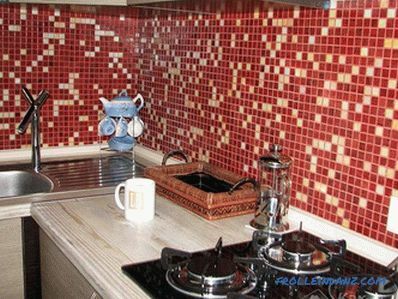 With mosaic tiles, this is not necessary. They weigh a little, so you can start installation from any place you have planned. The first styling samples are best to start from an inconspicuous place. So you can practice a little and make the main part better and more beautiful. 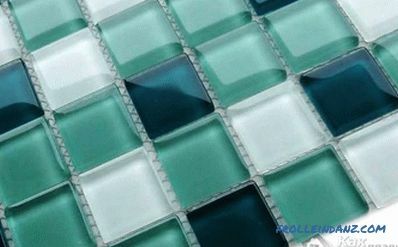 The mosaic tile leans against the adhesive mass and presses slightly. Then you should carefully look behind the seams. To use plastic crosses (as in the case of ordinary tiles) is unlikely to work.Everything needs to be done "by eye". 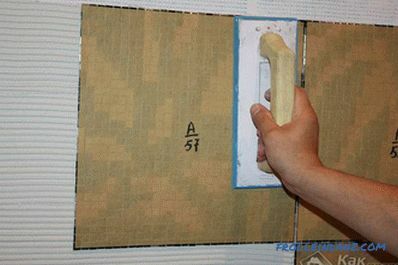 If the glue does not seize immediately when mounted on the walls, the tile may move slightly. In this case, help small carnations. They are inserted into the seam and hold the material in the right place. Once the square is laid, you need to walk on it with a plastic pad with a nozzle from elastic material. With its help lightly tap the entire trimmed surface. In this case, your actions should be moderately strong and short. Half an hour after laying the square it is necessary to remove the protruding excess glue. This is done neatly with a chopstick or a stiff brist brush. 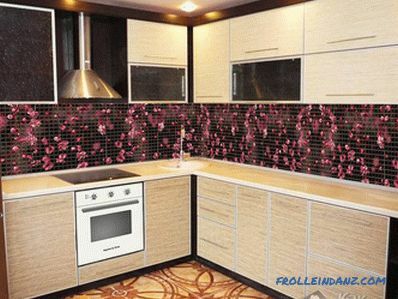 If the mosaic tile has a paper coating, then you need to get rid of it on the day of installation. To do this, slightly wet it and remove. Postponing this work the next day is undesirable. There may be difficulties with the frozen glue. Grouting should be started after 24 hours after laying. For such work a rubber spatula is used. Look at all joints before grouting. Remove sticking glue and debris from them. The grout itself is smeared in different directions. The last pass must be perpendicular to the previous one. After applying the grout, remove the excess. If you use a waterproof material, this is done immediately. 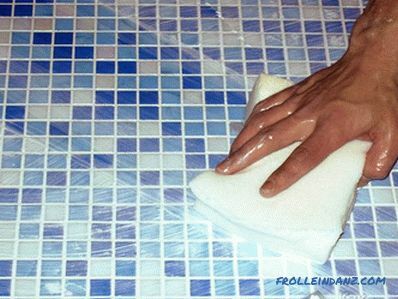 A water-soluble grout is given for 10–15 minutes, then it is removed with a damp cloth. 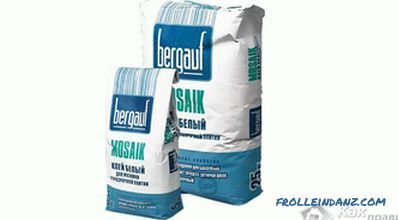 Leftover residues can be removed at the end of the day with a soft cloth. That's all work completed.